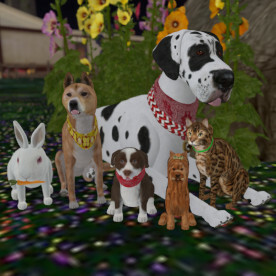 Come to a VKC Dog Park in Second Life and meet our pets. You can interact with them, pet them and play with them while you choose which you'd like to adopt. Come and play a game at the Dog Park, we have flyball and agility. Come to a training class and learn more about the amazing things your VKC Pet can do. Lost your dog? Having a problem? Can't work something out? Worry not. The VKC Clinic is your first port of call for help. All you ever needed to know about your VKC Pet. 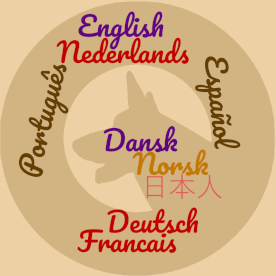 The stuff you really need to know ...in multiple languages! 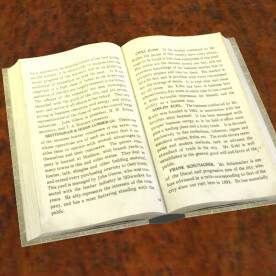 At The Virtual Kennel Club in Second Life we make artificially intelligent dogs, cats and rabbits. VKC Pets are active, inquisitive about their environment, have their own individual personalities and are (usually) far more obedient than real life pets. You can teach them new tricks and teach them to do your favourite tricks most often. Our pets are complete and ready to go. There are no after purchase costs for training, tricks or virtual food and water. We have a selection of free toys, free classes and free games, activities and contests. 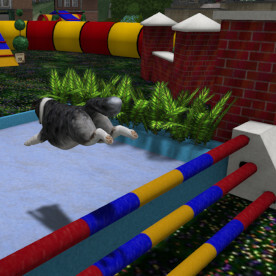 Come and visit the Dog Park where you can pet the animals, play with them and take home your avatar's new best friend. Cookies: the pets ate them. There are none for you, or your web browser.